The draft Budget Policy Statement (BPS) 2019 is out and we’ve been combing through it since yesterday. The overall budget is expected to increase from Ksh 2.5 trillion to Ksh 2.6 trillion. The budget for the three arms of government provides an interesting story. 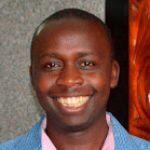 The budget for executive arm of government is expected to increase from Ksh. 1.6 trillion to Ksh 1.7 trillion. The budget for 47 county government is expected to decline from a budget of Ksh. 314 billion in FY 2018/2019 to Ksh. 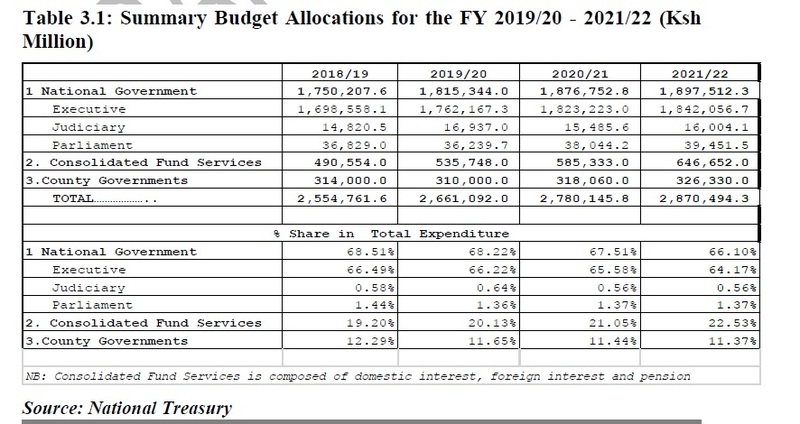 310 billion in FY 2019/2020. This means the devolved units will shed off Ksh. 4 billion as equitable share. Parliament which approves the budget is expected to receive a budget cut from Ksh 36.8 billion (2018/2019) to Ksh 36.2 billion in 2019/2020. Finally, Judiciary headed by Chief Justice David Maraga will get a boost from Ksh 14.8 billion in FY 2018/2019 to the proposed Ksh. 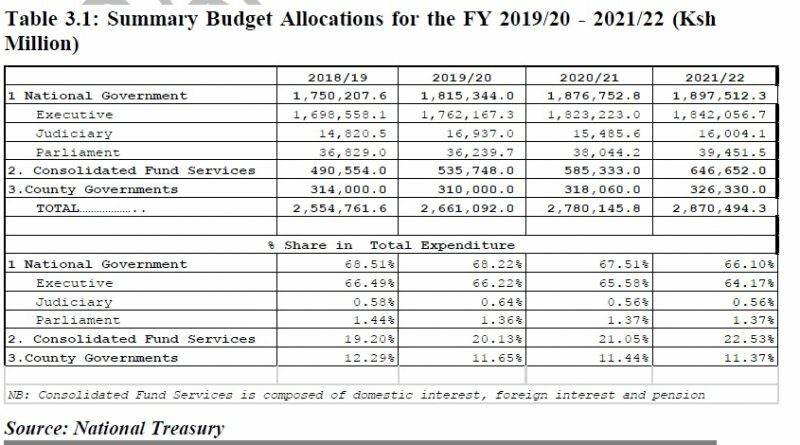 16.9 billion in FY 2019/2020. Remember these are just proposals and they might change after undergoing public participation and being subjected to the floor of the house for enactment.